Salvias: Chapter 4, The Shrubby ones! A border with some of the Shrubby Salvias in the old walled garden at Rodbaston! They originate from mountains which gives a clue on how to treat them: in open and well drained positions. Heavy shade and wet stagnant soils are not appreciated by this genus and as they are grown specifically for their flowers and possibly for their scented leaves: the more sun the merrier! They thrive in tough conditions as it makes them grow hard, instead of ‘soft’. This is why the salvias grow really well in Mediterranean climates too as they will get lots of sun and can tolerate dry soils as long as this is replenished at some point, and this often comes in the form of winter rains. I have seen some beautiful varieties during my visit to California with the first Salvia Summit (in 2008; held at Cabrillo College). For example see the website of Monterey Bay here: All these nurserymen select or breed their own varieties, suitable to their own growing conditions. So below are the main salvias which we could call the Shrubby ones as they overwinter with their soft woody growth to make them look like real shrubs. However, it is recommended to cut those stems after winter to make way for the new growth. But more about this later! They are all the microphylla, greggii, the cross of those two: x jamensis, lycioides, serpyllifolia, chamaedryoides as well as all the crosses, hybrids or cultivars of those species! The RHS did a trial from 2012-2014, testing all the varieties, and the list can be found here. 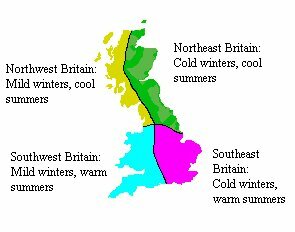 With thanks to Richard Sanford from the RHS Science Division. Still even today there is much confusion in the scientific classification of the genus and those shrubby salvias are no exception! The leaves are very diverse, especially I would say with the microphyllas, although these are again split into varieties and subspecies. “Covering an immense geographical area, S. microphylla may be found in the wild both in southeastern Arizona and in the mountains of eastern, western and southern Mexico. It is a complex and variable species, and its propensity to hybridize further complicates matters. Carl Epling (1939) considers S. microphylla to consist of three geographical races that are difficult to define. Known to show great variation, this species could conceivably have more than three variants. 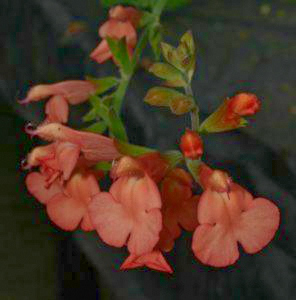 James Compton (1994) devised a key to varieties of S. microphylla using leaves and bracts as characteristics. I find his key to be most helpful in looking more closely at the large number of plants that have been brought into horticulture as cultivars since the 1990s. “Salvia microphylla var. wislizenii is described by botanists as a perennial plant. 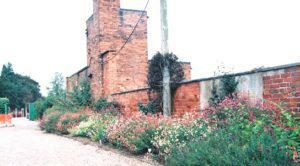 It grows quickly, building wood at its base and appearing shrub like. Found at high elevations of 6000-80000 ft (1800 -2500 m) in the mountains of southern Arizona and northern Mexico, it probably came into cultivation in Arizona and California in the late 1980s. Asa Gray described it and named it for John Gill Lemmon, the pioneer California botanist, who had collected in Arizona in 1885. For many years this plant was referred to as S. lemmonii because Gray named it for Lemmon when he first looked at the dried Arizona specimens. Later, when examining specimens from Mexico, Gray called the plant S. microphylla var. wislizenii because it differed from S. microphylla. From the beginning there have been botanical problems in dealing with both S. microphylla var. wislizenii and S. lemmonii as these plants are not distinguishable one from the other in the original material. In addition, gardeners have quite naturally attempted to segregate these salvias, which has led to more confusion. The tender ones always need frost protection here in the UK of course and for the last 2 winters this has been at Brownhills Activity Centre. They are at present in this long, light and frost free corridor from when it used to be a boys school, which keeps them growing and flowering even in mid winter! Hopefully this year, I will be able to find some greenhouse space to start up a collection again in earnest as they are such happy and rewarding plants! A very good article dated from 2014 by By Francine Raymond in the Telegraph can be found here. It is about the salvias of Salvia collector William Dyson of Kent! Who I will certainly refer to in a later chapter. During my time at Rodbaston College, which was from 1998 to 2009, there were a few salvias without a proper name. All they had was a collection number + prefix CDR; which stood for Compton, Darcy and Rix who had been collecting those salvias in the wild in Mexico. It seemed to be a bit sad to leave them just with those letters and numbers and as they were good salvias I decided to honour the College by naming them after Rodbaston. 0 Comments To "Yoke's Salvia blog Chapter 4"